First of all, in our Quebec Conferences, we succeeded! We-have done something extraordinary. We came together. We FORMED CICOPA-North America, for all of Quebec, the rest of Canada and the US – at a minimum. This is about Human Beings Gathered together around the values ​​of worker co-operation, Regardless of our country, our language, or our differences. By coming together, we-have Learned That what units us is much more significant than what Divides us. Recall que la-CICOPA North America Conference theme was “Co-operation without Borders,” and That Is what we-have Begun to experience. One way in qui Is That This Was evident DURING THE Conference week, the Federation of Co-operatives Paramedic of Quebec Decided to join CWCF, qui means clustering That All Quebec worker co-op federations-have now joined CWCF. CICOPA-North America now all three units Quebec federations, CWCF and US FWC Into one entity. This newsletter is only about the two Conferences on Business Succession and Worker Co-operation qui we Held in Quebec City from October 11th to 15. I think it Will Be Useful for me to give you my take on this dual, historic event, and leave it to this issue of the newsletter to give you an overview of the content, qui was very rich, and mostly available on line by video, or through notes. By all accounts, participants in Both events were very satisfied with the content and the experience, ALTHOUGH Certainly we Could Have Some Things are differently done. Approximately 300 people Conferences Attended Either or Both. (Do not worry, we’ve read the assessment forms and YES, There Will Be more time to talk to Each Other in future years’ conferences.) In addition, we-have created a solid foundation to build on for qui Both (1 ) the transfer of businesses to worker co-operatives, and (2) the flourishing of the movement of worker co-operation in Quebec, Canada and the United States, Within CICOPA-North America (the new continent-wide entity of the world body of worker co-operatives, CICOPA ). Those Who Attended the event Seemed to Find That Gave Them energy and it made ​​em Even More Committed to our movement. Jocelyn Lessard, Executive Director of the Quebec Forestry Co-op Federation Said it well, “We can really feel the gains of worker co-operation vibrating here. I am more than ever Convinced That worker co-operation is the future.” Further, the events Happened in the context of the approach of the 2012 International Year of Co-operatives, as well as the events on Wall Street and in Cities Around the World Occupying space for the “99%” that They Do not say benefit from the current Economic system – Allowing Many speakers to make The Obvious link to the co-operative system. Some of our participants Even joined in the Occupy protest Quebec on ​​the last day, gold Went home to Provide brochures and talks about co-operatives at the Occupy protests In Their home towns, qui you can read on this page of CoopZone, or is this Occupy the Workplace page. I Was Moved by generosity and The Enormous solidarity of all Who participated, in So Many Ways. By the cam Who speakers from near and far: from Europe, South America, the United States or different regions of Quebec and Canada. By our board president, Alain Bridault, and –other members of the Board of Directors of the CWCF and the NETWORK, by the Planning Committee, our employed and several volontaires Who Worked incredibly DURING THE event, and Before and After Often it, too. We were very Fortunate to-have the presence of a Federal Minister, Steven Blaney, Member of Parliament for Lévis-Bellechasse. Minister Blaney was very generous with His Time, Spending A Whole evening with us at the Conference on Business Succession and Employee Ownership and Giving a heartfelt speech. I Was aussi touched by the generosity of our sponsors, all of Whom we acknowledge by name at the end of this report, below. It Should Be Mentioned Abebooks web Considered inviting the Mexican worker co-ops as well. Now That CICOPA-America is organizing Into sub-regions (North America, MERCOSUR, etc. ), the Mexican worker co-operators Will Be reliable to choose entre year affiliation with the worker co-ops of Central America, and Those of North America . They Would Be welcome if They Want to Participate in CICOPA-North America. HOWEVER, the member of the CIA in Mexico aussi affiliated to CICOPA is an organization of co-operatives of all kinds Such As CCA, the CCCM gold NCBA. So we Decided to Wait Until We Can Directly find and reach out to the Mexican worker co-operatives. The fact Abebooks web aussi Held a first meeting of CICOPA-North America’s steering committee just prior to the Worker Co-op Conference (with Representatives of boards of directors and management of CWCF, the US and the FWC RésEau- with l’autre federations in Quebec Invited being white) means clustering Abebooks web thing our president, Rebecca Kemble, Who est president of the US FWC. She Will attend the General Assembly and World Conference of CICOPA and CICOPA-Americas in Cancun, Mexico from November 15-18, 2011. The CWCF Will Be représentée par Alain Bridault and myself. This Will Be the General Assembly of the founding of CICOPA-Americas Reviews and another milestone in the progress of the worker co-op movement. There is significant debate Taking up year There about development of the movement, in Both Developing and Developed Countries: http://coopsanddevelopmentcancun.wordpress.com/. Note que la Steering Committee of CICOPA-North America is: Rebecca Campbell (Chair), Melissa Hoover (Executive Director, US FWC), David Smathers Moore (Director, US FWC), Claude Jordan (Director, Executive Director and CWCF, NETWORK) Jamie Campbell (Director, CWCF) Jocelyn Lessard (Executive Director, Quebec Forestry Co-op Federation) and myself. We are seeking to aussi Involve a representative of Each of the remaining federation in Quebec. Personally for me, I was very happy to be with worker co-operators across North America and around the world. A special appearance for me, and one quite, Was That I Was ble to Spend time with people Who-have the Saami job as I do: other Executive Directors of federations and confederations of worker co-operatives. Often it’s not That Happens, and it’s incredible how much we-have in common! The way I see CICOPA-North America and The Whole Is That movement -internationally it is incredible value-added benefit to the work of the Existing federations. It is a meeting spot Where We can help each other, I think it aims Will Always Be In our own federations Where We Will Find the connection to closest Among the members, and members entre and Their federation.In –other words, this is an addition, not a replacement of Existing federations. We Took all of the videos, plenary sessions and workshops Many (sorted by language). We-have presentations and reports of several workshops. We put ’em on the website of CoopZone (www.coopzone.coop) and aussi we have have links to the websites of the CWCF and we www.cooperation2011.coop . There is a lot of information There qui i would encourage you to peruse. The Succession Conference Information in English is here ; the CICOPA-North America Conference information is here .If you’d like to see pictures, check out the CWCF Facebook photo albums , or Rebecca’s FB album called Expired ” Freed from the Hotel “about the awesome Saturday night social in old Quebec, etc. If you-have time to watch only a short video, I recommend the closing words of Rebecca Kemble (in English) here , or else the closing words of CICOPA Bruno Roelants General Secretary (in French) here . If you Gave a presentation and / or if you Any Took note you are willing-to share, and you-have not yet Submitted the document (s), please submit it to us soon. We Will Continually upgrade happy as more is available to us. A paper qui I would like to the point out to you is the reference paper on the estate businesses using co-operatives: http://www.coopzone.coop/ BusinessSuccessions. 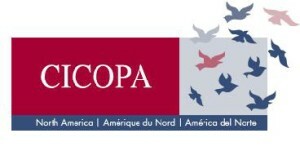 Next year, in 2012 it Will Be the United States’ turn to host activities of CICOPA-North America. Their Will Be Held Conference in Boston from June 22 to 24, 2012. We look forward to seeing you there! In addition, the Steering Committee of CICOPA-North America and all are federations That share of this must Develop Ways to always come together without HAVING to travel, using the power of Continually Improving technology. Last but not least, thank you to the sponsors of our Conferences; Were the Title Sponsors: The Co-operators, the Government of Canada (Agriculture Canada) and the Government of Quebec (MDEIE, and the Office of the National Capital). The remaining sponsors Were: CQCM, Fondaction, Filaction, Neuvaction, Credit Unions Desjardins, the Cooperative Promotion Board of Manitoba, Vancity, Big Carrot, Steelworkers, GrowthWorks, MCE Councils, Assiniboine area, Alterna, Just Us !, CHF Canada , the CLC, the CCCM ACDLQ, the Capital Funeral Co-operative, SOCODEVI, and the Sisters of Saint Martha. We couldn’t-have done it without you. A huge thank you! As always, if you have a question or how, please do not Hesitate to contact us. In our Congress, we did it! We did something extraordinary. We gathered. We created CICOPA North America, covering all of Quebec, Canada and the United States – to a minimum. This is the question of collecting human beings, regardless of their country or their language or their differences around the values ​​of cooperation work. By being together, we learned that what unites us is far greater than what divides us. We must rapeller that the theme of the work of Congress étatit cooperation: Cooperation without frontiers, and this is what we have begun to live. To make this even clearer, the Federation of Cooperatives Paramedics Quebec decided to join the CTCF during the week of the conference, which means that all federations CTs Quebec are now part of the CFTC as Member regional federations. CICOPA North America unites all three federations of labor unions of Quebec, the CFTC and améicaine Federation of work cooperatives. This newsletter is only on the two Congress on Transition Planning and Cooperation of the work we have held in Quebec City from 11 at 15 October. I think it will be helpful for me to give you my review of this historic joint event, and allow this copy of the newsletter to give you an overview of the content, which was very rich and is largely available video, or by account reports. It should be mentioned that we have considered the possibility of inviting cooperators Mexican labor. CICOPA now that America is organized into sub-regions (North America, MERCOSUR, etc. ), coopéreteurs Mexican labor will have to choose between an affiliation with the TCs of Central America, and us. They would be welcome if they want to participate in CICOPA North America.However, the only member of the ICA in Mexico affiliated with CICOPA is an association of cooperatives of all types such as CCA, CCCM or NCBA. So we decided to wait to find the CTs. According to all Testimony: Participants in both events were very satisfied, although certainly we could have done some things differently. (Do not worry, we read the evaluation forms, and YES, we will have many more opportunities where the participant (s) will be able to speak in future years.) In addition, we have established a firm foundation on which to build for both (1) the transfer of business to work cooperatives, and (2) the development of the movement of labor cooperation in Quebec, Canada and the United States, with the within CICOPA-North America (continental the new entity of the global body of work cooperatives, CICOPA ). Those who attended the event seemed to become more enthusiastic and found a spirit of dynamism.Jocelyn Lessard said it best, “We feel labor cooperation, which vibrate the values ​​here. I am convinced more than ever that the cooperation of labor, that is the future. “And it all happened in the context of the approach of the International Year of Cooperatives 2012 and protests on Wall Street and in cities across reclaimant space for “99%” who do not have been with the current economic system – which has enabled many speakers to make the connection with the cooperative system. Some of our participants even attended the event to take Quebec, or returned home and home to give out leaflets and presentations on the cooperative movement. I was touched by the enormous generosity and solidarity of all those who participated, no matter-what level. By speakers who came from near and far: from Europe, South America, the United States or different regions of Quebec and Canada. Our president Alain Bridault, the other members of the Board of CTCF and NETWORK by the Planning Committee, for our employees and some volunteers who have worked incredibly during the event, and often before and after the event . We were very fortunate to have the presence of Federal Minister Steven Blaney, MP for Lévis-Bellechasse. Minister Blaney was very generous with his time, from an entire evening to the Congress on the transmission of entreprses employees with us. I was also touched by the generosity of our sponsors who have a formal mention a little lower. The fact that we could also hold a first meeting of the Steering CICOPA North America Committee, just before the official launch (with representatives of boards of directors and management of the CFTC, and the American Federation NETWORK – with other federations in Quebec being invited) means we were able to choose our president, Rebecca Kemble who is also president of the American Federation. She will participate in the General Assembly and World Conference CICOPA and CICOPA-Americas in Cancun, Mexico from 15 November 2011. The CFTC au18 will be represented by Alain Bridault and myself. This will be the General Assembly of the founding of CICOPA-Americas and another important step in the progression of movement of labor cooperation. Note that the members of the Steering Committee of CICOPA-North America: Rebecca Campbell (Chair), Melissa Hoover (DG, American Federation), David Smathers-Moore (director, American Federation), Claude Jordan (administrator, CTCF and CEO, NETWORK), Jamie Campbell (Director, CFTC), and myself. We try to involve as representative of the other two federations in Quebec. For me personally, I was very happy to be in the company of cooperative labor from across North America and around the world. A special and quite unique element for me was to be able to spend time with people who have the same as me daily: other DGs federations and confederations of labor unions. It’s not often that happens, and it’s amazing how much we have in common! The way I see CICOPA-North America as well as the whole movement internationally is that it’s an addition with great added value to what the existing federations. It is a meeting place where we can help each other, but I think it will always be in our own federations we find the closest connection between members and between members and federations. In other words, it is an addition, not a replacement of existing federations. We took videos of all plenary sessions (with nearly 2/3 of French content – and they are divided by language), and several workshops. We have presentations of the minutes and other reports of several sessions. We put them on the site CoopZone (www.coopzone.coop ), with links to the sites of CTCF and www.cooperation2011.coop . The Congress Information of employees to companies transission is here; and the Congress CICOPA North America is here. That’s a lot of information, and if you have time to watch only a short video, I recommend the cloister words of the Secretary General of CICOPA Bruno Roelants here (in French); or the Rebecca Kemble closing words (in English) here . If you gave a presenation or you have taken notes, and you have not yet submitted the document (s) (s), if you Please submit them as soon as possible. We will improve the content as and measured we can. A document which I would draw your attention is the reference document on the transfer of businesses: http://www.coopzone.coop/Transmission_dentreprises. The next year, 2012, will tour the United States to host the CICOPA North America operations. Their Congress will be held in Boston from June 22 to 24, 2012. (Since June 24 is a big party in Quebec, maybe we will insist more on the international aspect of 22 and 23 June). We are given an appointment! In addition, the Steering Committee of CICOPA North America and all federations that are part must devise ways to come together without always having to travel, using the power of increasingly strong technology. And the other sponsors: the CQCM, Fondaction, Filaction, Neuvaction, Caisse Desjardins solidarity, the Council of promoting cooperation of Manitoba, Vancity, Big Carrot, Steelworkers, GrowthWorks, MCE Councils, Assiniboine area, Alterna, Just FHC Us !, Canada, the CLC, CCCM, the ACDLQ the Funeral Home of the capital and SOCODEVI. As always, if you have a question or comment, please contact us. I took the time to write my words in French and English, and I apologize if I made mistakes. You will see that there is much more content this time in French; it continues! Send months articles in French for our future newsletters.